Everyone’s favorite dynamic duo from G4TV, Kevin and Olivia are filming their annual Japan show to air in mid November on Attack of the Show. 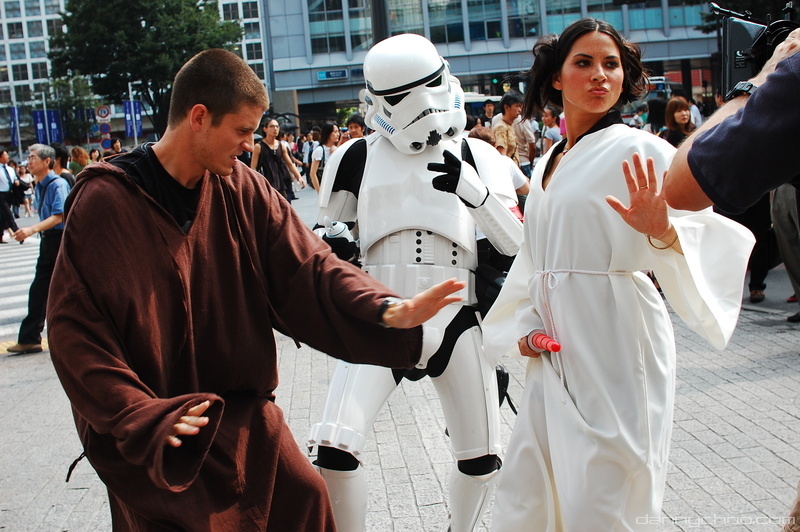 One of their first stops was meeting with Dannychoo for a little Starwars trooping on Danny’s home turf in Shibuya. With everyone in shorts and short sleeves, you know Danny has to be hot in that stormtrooper outfit. If you read Kevin Pereira’s blog, you would know that he has gotten into much more while being in Japan for less than a week. On the 5th, he posted about his attempt at Sumo. They put him through his paces, and left him broken, tired, and with a new found respect for Sumo. He also found a very cool guy in the subway playing a game of baseball. Kevin not only stood at the plate, but also hit a home run much to the surprise of the pitcher. 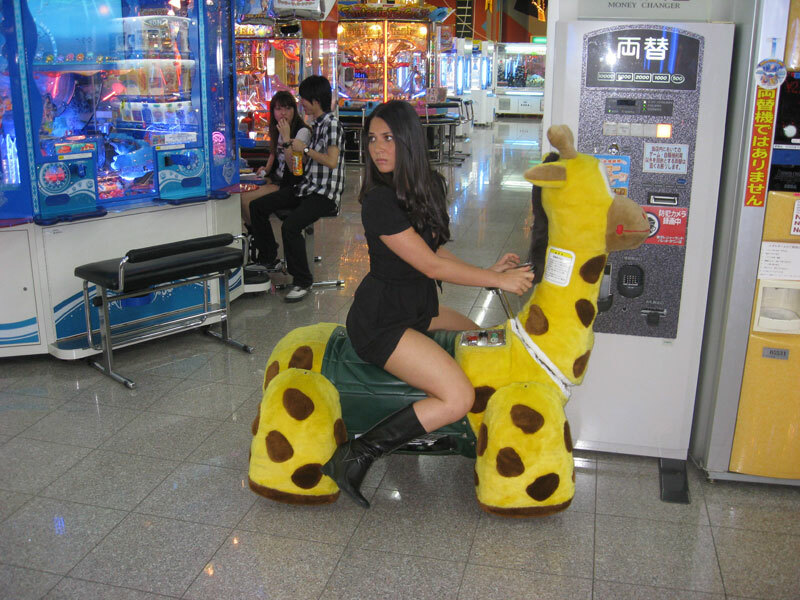 Olivia on the other hand was last seen taking endangered Japanese giraffes and pandas for a ride. She also discovered that carp, who normally eat dead skin from people’s feet, would rather eat themselves than eat her dead skin. If only the carp knew how cute she was, they would be all over her! Check out more of Kevin and Olivia‘s Japan adventures on their blogs. Its good to see them having some clean fun, because I remember last time they were in Japan. They got up to some really… um, weird stuff. Did you get Rick Rolled on April Fools Day?